Law enforcement in the US wants to be able to identify and track all unmanned vehicles in the sky. Meanwhile, the military was given the green light to shoot down private drones. 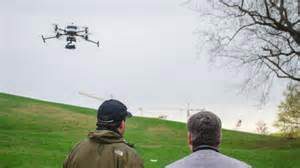 American law enforcement agencies oppose the government’s plans to allow extensive unmanned flights until federal regulators come up with requirements for the drones to be registered and tracked.